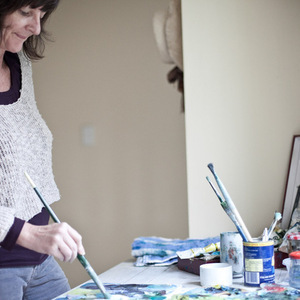 Chrissie is an Australian artist currently living in Sydney and credits a lifetime of travel and the pursuit of an artistic life style as her constant school of learning. Right now I am having fun creating my own paint from pigments that I grind down by hand and then mix to my own consistency and hue. I enjoy sourcing the pigments - finding in them the purity and depth of colour that best interprets the visual idea of my work.